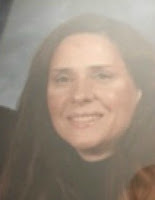 I was a Certified Shorthand Reporter (court stenographer) with the State of New Jersey (CSR) and a Registered Professional Reporter (RPR) and a Certificate of Merit writer with the National Shorthand Reporters Association. I worked as a per diem reporter in the New York City metro area on various civil lawsuits, primarily in depositions (discovery before trial). Eventually I got my Associates Degree in Biblical Studies from Christian International. I became a minister in 1999 and volunteered as an ordained minister in street ministries, soup kitchens, prison ministries, nursing home ministries, both at-risk and women’s outreaches. I’m now ordained with the Fellowship of Christian Assemblies. 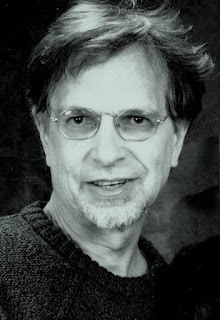 Started Christ-Centered Ministries for Worldwide Worship, Inc., in 2002. It’s become a teaching and preaching ministry with a house church located in Pensacola, FL. We live on a working farm which keeps me way too busy, well fed, but not rich in money; although, nature is God’s elixir. I get to see things in God’s creation most folks only dream about. In that I am truly blessed. Christine Meier: Have you ever wondered how our diverse nation got along to begin with and why we were able to work with one another up until the last fifty years? Let’s just state the obvious: The religious, agnostics and atheists aren’t leaving the country any time soon. 70 Years of American Captivity reveals documentary proof of a non-sectarian covenant applying to all Americans within our Federal Compact. Pursuing a non-judgmental approach, proving God is NOT “judging” America, while revealing historic, scientific and documentary evidence the Federal government has broken its covenant to the citizens it swore to protect. Taking screen shots through 500 years of American history allows readers to become infused with a flavor for a very distinct American covenant, which ties religious, economic and non-sectarian goals under one umbrella of Federal awareness. Exploring solid solutions with over 900 sourced endnotes, you’ll learn how our diverse nation got along and continued to work out our differences, making it a birthplace of liberty and ingenuity. Before we trust any more tax seasons or election cycles to a Federal government in the throes of betrayal, this book reaches out to all walks of life with hope for the future. 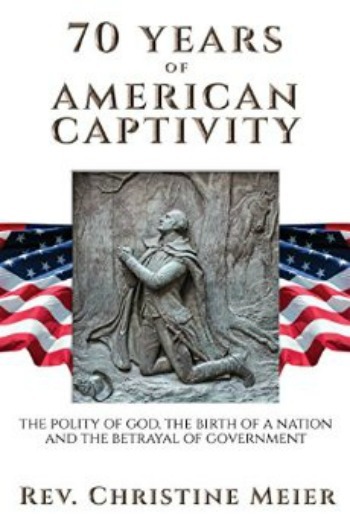 IAN: Is 70 Years of American Captivity published in print, e-book or both? Christine Meier: It is published in ebook, paperback and hardcover. IAN: Where can we buy a copy of 70 Years of American Captivity? Christine Meier: 70 Years of American Captivity is available at Amazon, Itunes, Barnes& Noble, Kobo and Smashwords. IAN: What inspired you to write 70 Years of American Captivity? Christine Meier: I had an experience with the Lord one day and what He told me compelled me to research and write this book. Christine Meier: Well, I start writing and then chapter titles and outlines, which become chapters sort of “arrive” on the scene. IAN: How long did it take to write 70 Years of American Captivity? Christine Meier: It took between three and a half to almost four years to research and write. Christine Meier: I suppose I do, but it may not be as obvious as one reads. As I write, I answer questions I feel I would ask or readers would ask. It’s not really that obvious, but I do find myself writing as Zechariah did in the Old Testament. I like to put what I’m writing down for awhile and then pick it back up again. If it speaks to me after not working on it for some time, then I know it will bless those who read it. Christine Meier: It was based on the statement the Lord gave me, but the subtitle was a work in progress with my publishing house (awesome folks). IAN: What do you hope your readers come away with after reading 70 Years of American Captivity? Christine Meier: The reality of how close we are to losing our country, and how far we have gone down the rabbit hole in lies we have been told; but more importantly, how easy it is to get us back on track, economically, spiritually and socially. Christine Meier: All of the book is from factual and actual history. In other words, it really happened. It is non-fiction. Christine Meier: Some of the experiences related in the book are mine; some are shared through actual historic accounts and some are related through historical writings and other literature. IAN: Did you have to travel much concerning research or for other aspects of 70 Years of American Captivity? Christine Meier: I have traveled to four continents for the church books I have written and I have traveled for this one as well. Of course, I would travel anywhere to share this book and my other ones. Christine Meier: The cover design was a joint effort between the publishing house and myself. I love what those guys did with the ideas. IAN: What was the hardest part of writing 70 Years of American Captivity? Christine Meier: I had to make absolutely sure what I wrote was actual and factual history. That means I had to make sure what I wrote had original sourced beginnings. My writing in the past has been in biblical study. Fortunately, original sources are also crucial in that genre. This was quite different as revealing American history— and American history that is not widely known nor studied in most colleges. 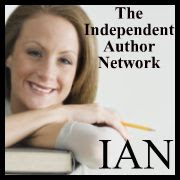 IAN: Did you learn anything from writing 70 Years of American Captivity and what was it? Christine Meier: I learned a tremendous amount of American history, early American thought and psychology as it related to the formation of our governing compact. I also developed a deep appreciation for how different our country truly is in its birth, formation and governing documents. I learned so much that today’s press, colleges and media are not telling Americans. Christine Meier: I have a prophetic study book and a gifts of the Bible book in the pipeline next. 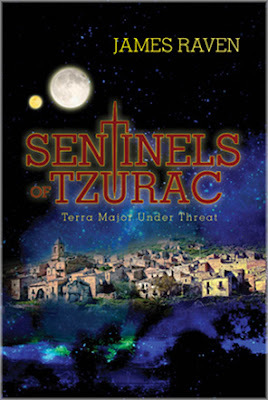 I have just been informed that the adapted screenplay for my first book in the Sentinels of Tzurac Trilogy has been given the Silver Winner Award from International Independent Film Awards in the 2016 Summer category. I am very grateful and also excited at the prospect of being recognised among the film industry and am looking forward with anticipation at the possibility of my trilogy being made into a film or three. I am currently arranging a screenplay to be written for my second book "Zarkwin's Revenge" in the trilogy. When my third book Retaliation which is reaching final proof reading becomes published I will also be adapting this to a feature screenplay as well. Earth’s natural resources are running out and the planet is dying, suffocating under the weight of humankind’s greed. Intergalactic mining companies search distant planets for badly needed replacement resources and Kyron, a recent engineering graduate, gains a prominent position with mining corporation MERIC. When an explosion involving a strange blue rock known as Xytrinium stops their operation on Terra Iota cold, MERIC owner Samuel Jensen sends Kyron to investigate. But someone has other ideas about a resource so powerful it could destroy entire worlds. Kyron narrowly escapes an attempt on his life on his trip to Terra Iota and the motive of the culprit is as simple as it is diabolical: he is determined to exert complete power over the entire world and he needs Xytrinium to do it. Caught in the middle, Kyron now finds himself in a war with a man who seems to hold all the cards, but when a murder, an ancient gold ring, and his father’s hidden past reveal startling truths, Kyron will risk everything to save Earth— and the life of the woman he loves.